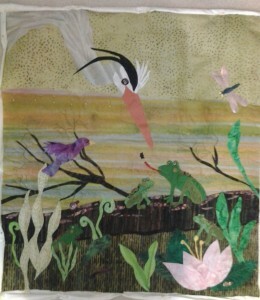 I have been hard at work making a new Springtime quilt. It features Spring Peepers, the lovely, loud chirpy frogs that sing continuosly all night. We are not yet hearing them, but will before long. It’s a deafening serenade for a brief time each year.